Lineage: Mentorship & Learning highlights the impact and importance of the teacher/student relationship. This exhibition illustrates the thread connecting multiple generations of ceramic artists from Peter Voulkos to today’s students. For decades there has been an impressive variety and strength in California’s colleges and universities ceramic programs. AMOCA invited 25 current educators from the state to participate in Lineage. In addition to inviting the educators to exhibit their own work in the show, we asked them to identify their most influential instructors or mentors and to nominate their most promising students or recent alumni. A panel then reviewed the nominations and selected the artists to include in the exhibition. 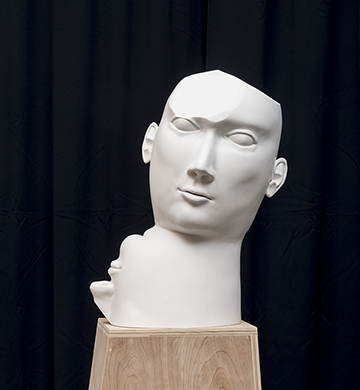 The artwork in Lineage ranges from functional to sculptural with the artists exploring a wide range of forms, techniques and narratives. AMOCA is proud to feature the work of the past, present, and future of ceramics and education.